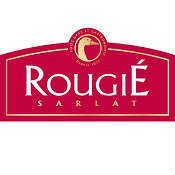 Since 1875, Rougie has perfected its working methods and recipes to offer high quality duck products. Today, Rougié can be found in all the grand hotels, leading restaurants, luxury shop and airlines of 120 countries on all 5 continents. Foie gras is first a question of know-how. Foie gras is an art deployed first in breeding and fattening according to ancestral know-how. An art pursued in selection just by touch, with immediate recognition of an outstanding liver. An art finally implemented in the mode of cooking designed to enhance all its unique qualities. All that goes to make a Rougié foie gras an incomparable dish, for professional restaurateurs and delicatessens worldwide.